The editor of the Red Bull Rising blog has announced "Boonie's Haiku Contest," a light-hearted poetry competition commemorating the experiences of both military and civilian personnel downrange—regardless of era—and particularly those who have supported the war effort from the perceived safety of larger installations. "We chose the haiku not for any particular connection to Vietnam, Iraq, Afghanistan, Honduras, or any other country in which the United States has deployed the 'Forward Operating Base' ('FOB') concept," says mil-blogger Charlie Sherpa, "but for the simplicity and accessibility of the form." "That," he says, "and it lends itself equally to both sarcasm and sincerity. I anticipate plenty of both." Deadline is March 18, 2013. Only one submission per entrant. Entrants may, however, submit up to three haiku in a single entry. For entry methods, see below. Refer either to a character or characters, setting, music, and/or narrative of the TV show "China Beach," or to a similar real-life military setting, such as a Forward Operating Base ("FOB"), main operating base, Combat Outpost ("COP") or patrol base. Note that the syllables of acronyms and initialisms are counted as they would be pronounced aloud. For example: "TV" is two syllables; "REMF" is one syllable. 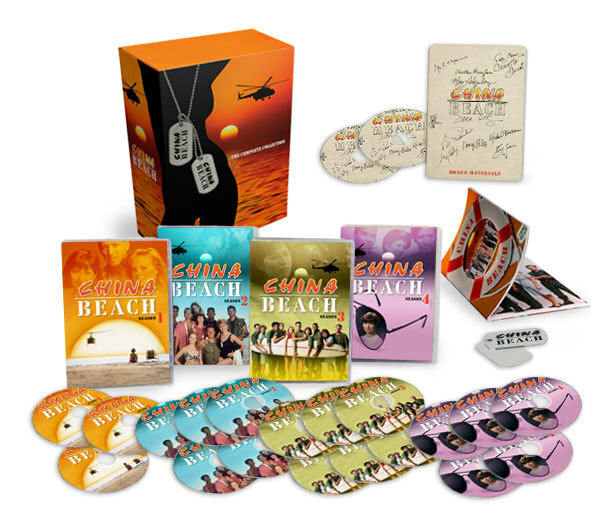 First-prize: A boxed DVD of the entire "China Beach" television series, never-before-released on DVD or VHS. Includes 62 episodes on 21 DVD, and features 268 classic hit songs as originally broadcast—and more than 10 hours of bonus features, including a cast reunion with Dana Delany, Marg Helgenberger, Michael Boatman, and Robert Picardo and more. For previous Red Bull Rising coverage of "China Beach," click here. 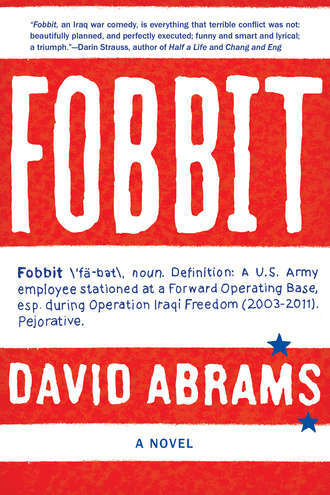 Second-prize: An autographed and personalized (at prize-winner's specification) copy of David Abrams' sarcastic, surreal 2012 Iraq War novel "Fobbit." For previous Red Bull Rising coverage of the book, click here. 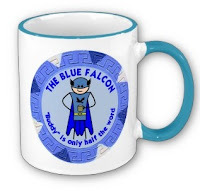 Third-prize: A "Blue Falcon" coffee mug, from the creator of the "Doctrine Man!!" cartoon. Appearing on Facebook, the Doctrine Man!! cartoon routinely captures the absurdities, uncertainties, and ... camaraderies (?!) ... familiar to those who have weathered staffy and stuffy deployments downrange. As Doctrine Man!! himself says: "Remember: 'Buddy' is only half the word!" Send an e-mail to haiku AT redbullrising.com, with the poems in the body of the message. The subject line should include the words "Boonie's Haiku Contest Entry." Send entries via postal mail to: "Boonie's Haiku Contest," c/o Red Bull Rising, P.O. Box 31099, Johnston, IA 50131-9428. Post one to three poems as a single Facebook comment to the link dated Feb. 25, 2013 on the Red Bull Rising Facebook page, and marked "ENTER CONTEST BY POSTING BELOW IN THIS THREAD." Please remember to sign in, however; anonymous posts will not be considered for the contest. By submitting their work(s), entrants agree to allow the editor of the Red Bull Riding blog non-exclusive and perpetual rights to reprint their work(s), in any media or format, known or unknown, throughout the universe, regardless of whether or not the work(s) are recognized as contest winners. All parties, regardless of military, veteran, or civilian status, are encouraged to participate. Prize-winners, however, must have a U.S. mailing address for prize delivery. APO addresses are acceptable. The judges reserve the right to substitute prizes, or to decline to name winners in one or more prize categories, should circumstances require. Winners will be announced March 25, 2013. Prizes will be sent to winners approximately April 25, 2013. DISCLOSURE: The boxed set used as a prize in this competition is provided to the editor of the Red Bull Rising blog in partial consideration for otherwise unpaid technical-consulting services rendered. Red Bull Rising is the sole organizer and sponsor of this contest. ADVERTISING LINK: Pre-order "China Beach: The Complete Series"! 62 episodes on 21 DVDs plus over 10 hours of bonus features and collector's booklet! Pre-order today for 5 easy payments of $39.99 (Price: $199.95) and get Free Shipping at TimeLife.com! Grunts hate you, how come?